Many capable leaders serve on non-profit boards. They are aided by a voluminous literature and many training opportunities on effective governance, and by numerous efforts to define effective governance models, functions and frameworks. Yet, many sector leaders still struggle to fulfill the roles and responsibilities expected of them. Why this disconnection? Non-profit organizations differ in mission, size, and operating model. There is no prescriptive “one size fits all” model of governance. The legislative and regulatory requirements for non-profit governance vary across provinces. Different models of governance are therefore appropriate for different non-profit organizations in different jurisdictions. A growing demand for services from increasingly diverse communities. 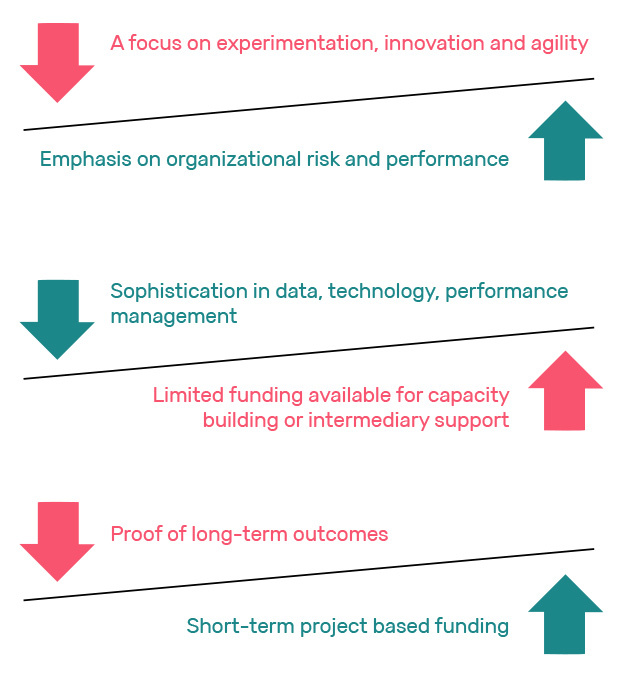 Increasing demands from governments and funders. Greater focus on collaboration, mergers, network-based models of organizing, cross-sectoral partnerships and common approaches to measuring impact in the sector. Technological changes, volunteering trends, and a new generation of leaders are changing how non-profits work and how they interact with and engage one another, funders and the public. Boards are struggling to adjust to the changing environment and face capacity and recruitment challenges. Resources may be misused or misdirected, an organization may lose its strategic direction, its reputation may be weakened, poor working conditions for staff could arise, and members of the board could incur personal and professional liability. Ultimately, ineffective governance compromises an organization’s ability to meet the needs of its beneficiaries and key stakeholders. 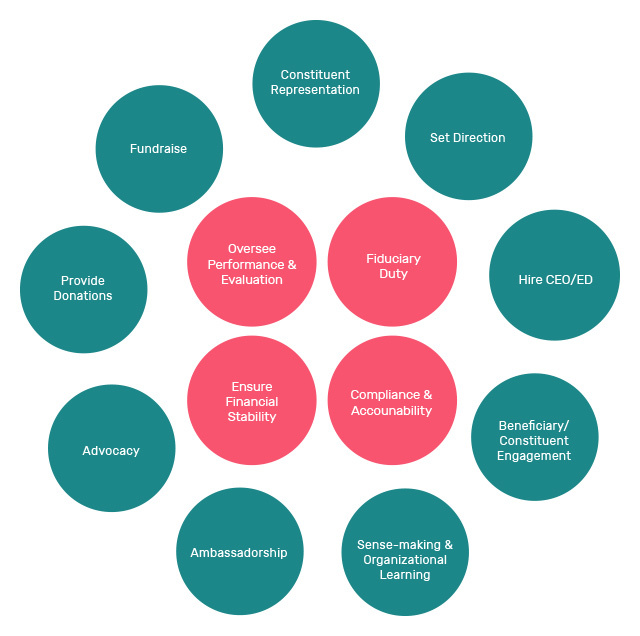 Governance is typically regarded as something boards do, but this does not mean that the board should be the only mechanism of non-profit governance. Rather, governance is a series of functions that must be fulfilled, and the board is one structure to assist in that process. The way the governance body is structured is largely at the discretion of the organization. Non-profit boards now are expected to work across sectors and systems. They need to be data experts, strategists, sense-makers and innovators. They must also be financially literate (including in emerging areas, such as social finance and earned income) and willing to take calculated risks, while being inclusive, resilient, trustworthy and self-aware. Many boards are struggling to adjust to the changing environment. While there are successful examples of board governance in Canada, many organizations struggle with leadership and management issues. Many boards remain underutilized, ineffective, dysfunctional or overburdened with operational issues. Governance needs to be approached in a new, transformative and adaptive way. Governance must be envisioned as collaborative – a function that is shared and not limited to the board. This is essential to ensuring better responsiveness to social issues, system-wide impact and adaptability to the changing environment. Governance needs to be approached in a new, transformative and adaptive way. Governance must be envisioned as collaborative – a function that is shared and not limited to the board. How can this new vision be achieved? What are some of the obstacles to overcome? Philosophical differences can influence choices around governance practices. Governance may also be influenced by board members’ understanding of impact. Cultural barriers are built into some current governance practices. Volunteer board members face similar expectations and even the same liability requirements as for-profit board directors. These are all contentious issues that sector leaders must consider on the road to transforming organizational governance in the sector. As a result, agreement on a principles-first approach may be challenging to achieve, so learning by doing is likely the more fruitful approach. Promote and incentivize the exploration of governance approaches that are impact driven, rather than siloed and organization-specific. Convene to reflect on governance opportunities, challenges, and solutions. Test and iterate new governance models and approaches. Promote governance through mentorship, leadership training and skills development. Connect governance initiatives with upcoming policy initiatives.